After a week's break from the blog and lots of sister fun, we're back and boy do we have lots to share...!! We had the exciting news at the weekend that HK Mouse is staying for extra week, so after all the non-stop running around we thought what better way to recoup than a long weekend in Devon at the cottage! 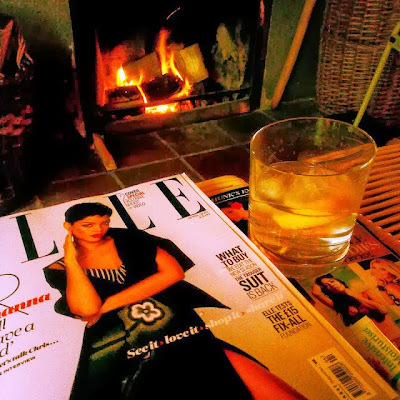 Rambling country walks, cosy pubs and big glasses of red by the fire...we're all squeaking with excitement at the thought!!! Searching high and low for the perfect advent calendar for HK Mouse so that she can countdown in style! I remember so clearly the excited feeling as a child to wake up each morning, open a new window and of course get a chocolate treat in return! Sadly a Cadbury's number just won't cut it anymore, the stakes are high and in order to recreate that teeny tiny Christmas-excited Mouse feeling again, it needs to be something a bit special! As it isn't quite December I can't reveal our final decision, however I can share with you the best of those out there that got our attention and nearly made the final cut. Go on why don't you brighten up 24 mornings of someones day....! We had this one last year and I can safely say it's well worth the price tag, we loved opening the exciting miniatures every morning and a great way to try out new products. 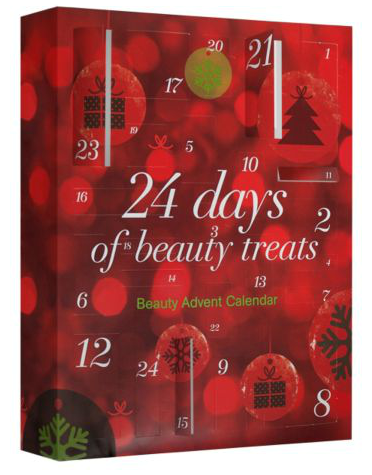 Filled with treats worth over £240 with the likes of Dermalogica, Neom, Steamcream and Stilla sitting behind your windows! 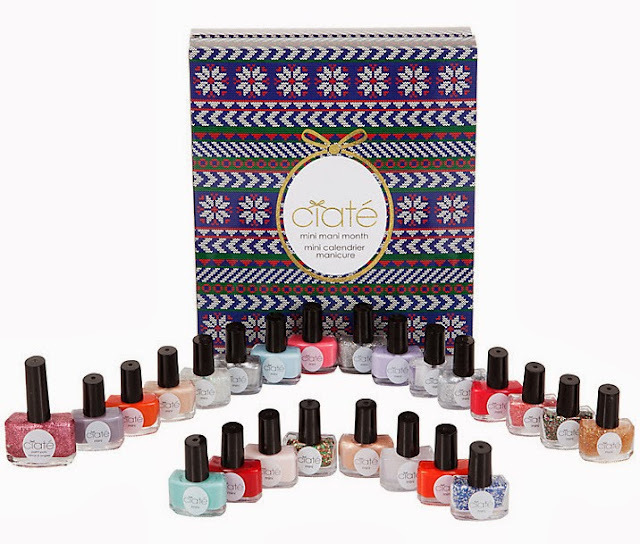 If you're after the ultimate queen of calendars, then this is the one for you! 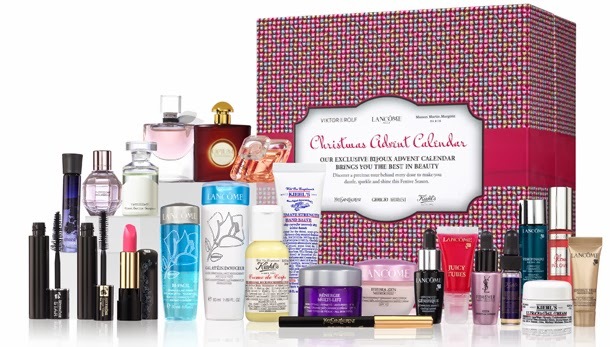 Filled with skincare products, makeup and fragrance - you can't really get much better than this! Selfridges have pulled out all the beauty stops and bagged miniatures from Kiehl's, YSL, Lancome and Victor & Rolf to name just a few! HK Mouse arrived at cocktails last week with one of these beauties for us Mice at London Towers...a nail varnish a day including 19 mini paint pots, 4 textured surprises from caviar to sequins and one full size varnish as a Chrimbo Eve surprise! If you're after something a little bit different and want to well and truly get into the 'spirit' of Christmas...then this bad boy should tick all the boxes! 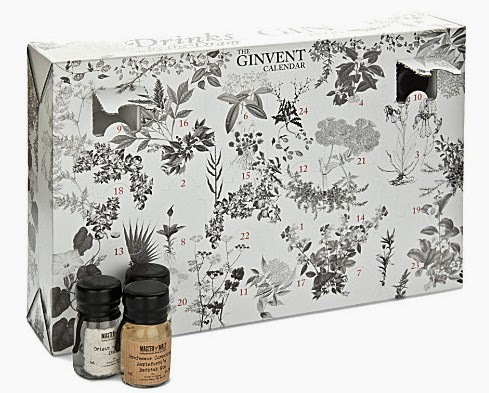 A bottle of Gin a day, means Father Christmas isn't far away...! Getting thoroughly excited that's it's only 39 sleeps until Christmas and to make this all the more exciting, the battle of the Christmas ads has finally begun. This year, like most others, the main contenders are of course John Lewis and Marks & Spencer. Next up M&S...big names, big production and lots of Christmas product! The total opposite, but the more I see it, the more I like it. Starring Rosie Huntingly Whitely and David Gandy, with lots of snow and a magical fairytale story - a lot more adult facing and product focused, however like it or not it's definitely impactful! For me I think John Lewis has the winning ad...I'm a sucker for a cute story and the fact that it reminds me of my childhood days watching The Animals of Farthing Wood may have given it the slight edge!